This darling 17-inch baby doll is handcrafted of RealTouch silicone-vinyl to recreate every hand-sculpted detail and the softness of baby skin. She is hand-painted to highlight her princess-perfect features that bring her to life. 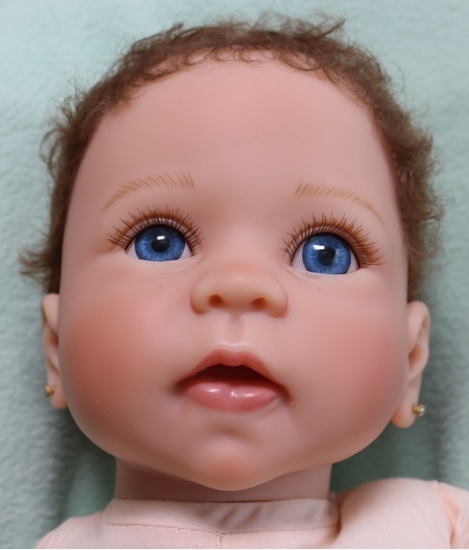 From her soft hand-rooted hair to her darling blue eyes and rosy cheeks, this beauriful baby doll really is as pretty as a princess. She arrives lavishly dressed with crowning touches such as an ornate and highly detailed hairband to complement her silky princess gown embellished with sparkling tiara accents. She even has faux pearl earrings! 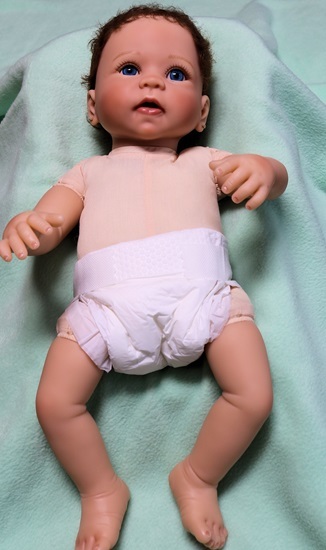 To make this little princess even more lifelike, she is weighted to feel so real in your arms!